There is little doubt that antibiotics have played a very important role in medicine. Their use has helped eradicate diseases like tuberculosis. They have also been very successful in treating common bacterial infections and health problems related to parasites. However, the very success of antibiotics has encouraged the unwise overuse of these antimicrobial agents, which is contributing to a range of highly adverse unintended consequences. Nevertheless, it’s hard to imagine life without antibiotics. They are routinely prescribed by physicians to treat strep throats, urinary tract infections and illnesses caused by parasites, fungus or other bacterial agents. However, antibiotics are also routinely added to animal feed (to promote livestock growth and prevent diseases caused by unsanitary overcrowding). In addition, they are incorporated in a variety of consumer sanitary products (such as antibacterial soaps and gels). Many public health advocates and medical experts believe that the indiscriminate use of antibiotics is leading to a rash of problems. Here is a quick survey of five of the most important reasons you should stay well clear of antibiotics (unless they are absolutely medically necessary). Paradoxically, antibiotics are becoming less effective the more often they are used. That’s because random genetic mutations in certain bacterial strains (which survive an initial encounter with a medications like penicillin) are leading to leading to drug-resistant forms of bacteria. In short, these so-called “superbugs” have evolved so that they are much more deadly and harder to wipe out. For example, MRSA bacterium have proven highly resistant to a wide spectrum of very powerful antibiotics. There’s an emerging body of evidence that antibiotics can interfere with the body’s hormonal system. That’s because antibiotics can alter the balance of your intestinal flora in ways that impact nutrient absorption and immunity. Since hormones that regulate the thyroid gland, menstruation and mood are produced in the gut those systems and cycles can be thrown off. It’s not just the antibiotics your doctor prescribes that can pose a problem. Research has found that triclosan (an antibiotic agent found in many soaps and disinfectants) may contribute to infertility, obesity and early-onset puberty. Ominously, antibiotic runoff is being detected in water supplies, sewage treatment facilities and the oceans. According to marine experts, antimicrobial agents from a variety of sources are disrupting marine ecosystems. For example, antibiotics appear to disrupt the process of photosynthesis in sea algae. Additionally, alarming levels of antibiotics have been found in bottlenose dolphins. Being exposed to bacteria at an early age is correlated with the development of a more robust immune system. There’s evidence that children exposed to high levels of antibiotics at an early age experience significantly higher rates of allergies, hay fever and other hypersensitive immunity disorders. Many scientists now believe that in most cases the risks associated with antibiotics often exceed the benefits. This is particularly true of the antibiotics added routinely to soaps and animal feed. According to a number of studies, antibiotic disinfectant products are no more effective than ordinary soap and water when it comes to neutralizing germs. This has led the FDA to question their use. If your body is in need of a boost, give this eight-ingredient tonic a try. It may just be the most powerful remedy you’ve found yet! Prepare ingredients and combine in a bowl, except for apple cider vinegar. Transfer ingredients to a mason jar. The jar should be filled two-thirds full. Fill the jar with apple cider vinegar, leaving a one-inch gap from the top. Replace the lid, then shake well. Keep the jar in a cool, dry place for two weeks. Remember to shake it several times a day. The longer the ingredients sit in apple cider vinegar, the more potent it will get. For maximum potency, infuse ingredients in apple cider vinegar for six weeks. After two or more weeks, strain the liquid through a cheesecloth. Pour the tonic into another jar or bottle. Store the tonic in the fridge. Take one or two tablespoons a few times a day as needed. To ease the heat, eat an orange slice after each dose. 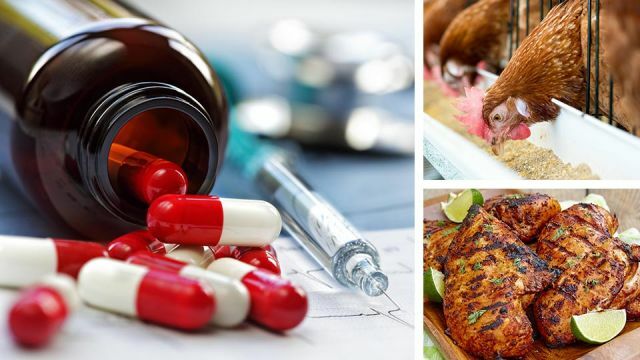 Hey Buddy!, I found this information for you: "Are Antibiotics Hiding In Your Food? 5 Dangers You Need To Know". Here is the website link: https://www.thealternativedaily.com/5-dangers-of-antibiotics-you-need-to-know/. Thank you.